In August 2007, we were contacted by Thom Wilson of the U2 trading site endlessdeep.net. Thom is a longtime U2 collector and trader, and was interested in filling some gaps for us from his own extensive U2 interview collection. 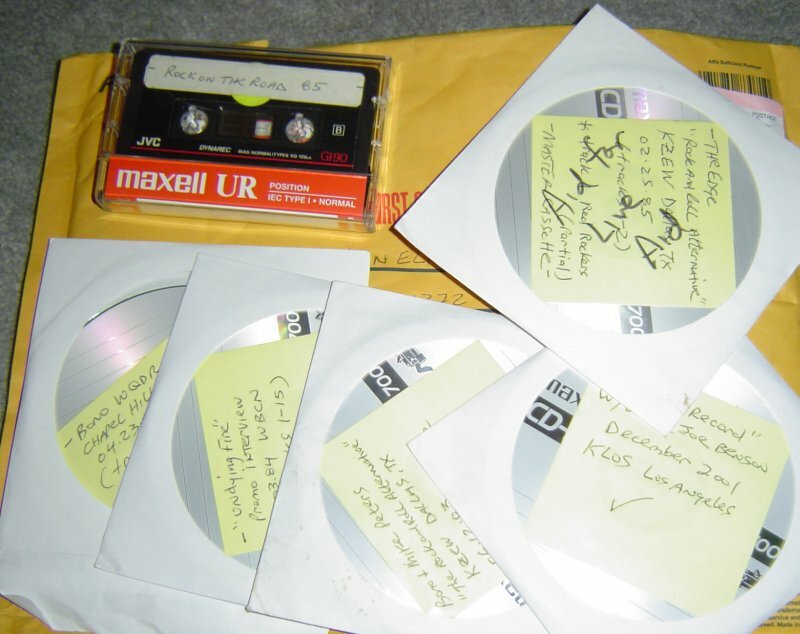 Thom has kindly made selected CDR and tape copies of interviews, and sent them along to us. We are very thankful for his kind contribution. In addition to U2, Thom also trades many other bands including Bruce Springsteen, Coldplay, Keane, and REM.